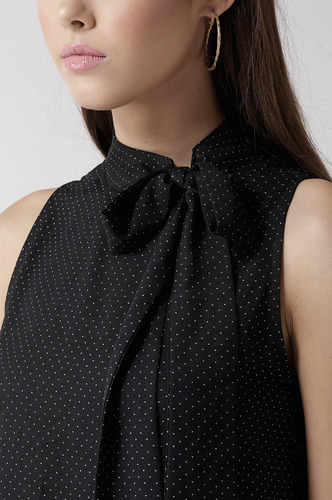 This tie up polka dots top is a great way to add some trendiness to your regular workwear wardrobe. It is the most versatile formal wear you will have! Accessorize with: A classic pencil skirt a pair of high heels and a handbag with a statement call completes this classic formal look! 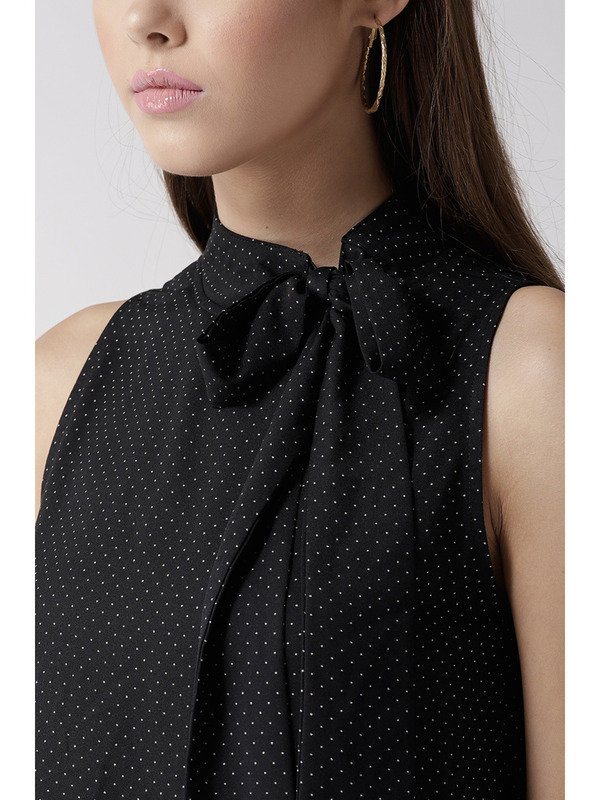 Black and white polka dot polyester moss crepe top. 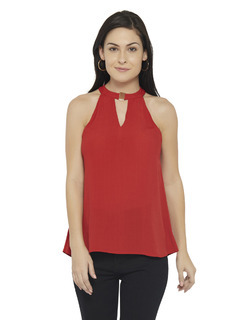 Sleeveless and has a tie up at the neck for style. 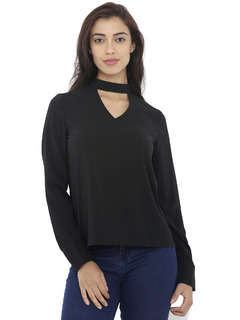 Zipper on the back for fastening and ease.